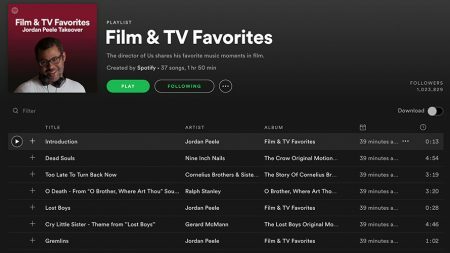 As part of Us' Spotify takeover, writer-director Jordan Peele curated a playlist of notable songs from films and TV. For the first time ever, a movie has its own hub on Spotify. To drum up interest in Jordan Peele’s upcoming horror film, Us, the Oscar winner, who wrote and directed the movie, curated a playlist of notable soundtrack songs, one of which is from Us and the others from other noteworthy series and movies. Beginning today, the movie, which opens Friday, has taken over Spotify’s TV & Movies hub for Spotify Premium and free users. In the playlist, you’ll hear Peele himself, who recorded introductions to some of the memorable songs like Harry Belafonte’s “Banana Boat Song (Day-O),” which memorably appeared in Tim Burton’s 1988 cult classic, Beetlejuice, in a scene where characters are possessed to sing and dance to the song. Peele's movie will be released later this week. Doug Neil, evp, digital marketing for Universal Pictures, said Peele’s “visionary approach” to music and film was something to showcase. “Celebrating his voice and vision on Spotify, which reflects culture through every stream, made perfect sense as we looked to build excitement around the release of this incredible film,” he said in a statement. 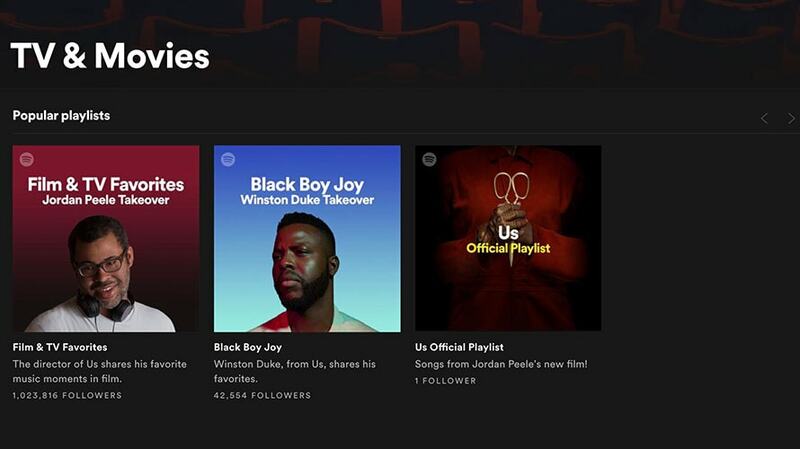 As part of the hub, the movie’s own official playlist can be streamed, and Winston Duke, one of the stars of Us, took over the Black Boy Joy playlist with some of his own favorites.